In the Summer/Fall of 2017 Ralph and I had an idea…build a trail that would connect the “south parking area” to the Hill Trail \ Hill Bypass Trail. This would then enable us to avoid riding through the field to get to HT & HBPT. The thought was let’s just drop down into the ravines a bit and follow the contours to HT & HBPT. The original name we came up with was “The Contour Trail”. It would be a tough trail to build. The time has now come that we can build this trail. 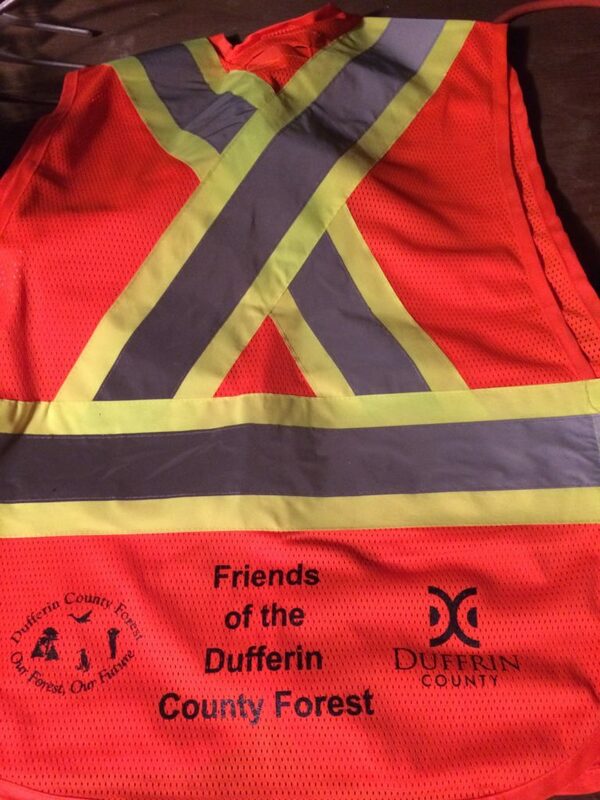 The Friends of Dufferin County Forest group (FDCF) has been formed which is the organization we will work under. 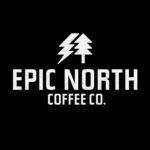 The proposed trail is approximately 1.5 km’s and will have some challenging sections to build. Lots of bench cutting and tricky topography to work around. The trail build is open to everyone that wishes to participate in any capacity they wish. Whether you have tools and trail building experience or have never built trail before it does not matter. There will be work and a task for everyone. Start time will be 8am and we hope to complete the trail in a day. Lunch will be provided by Team Van Go (likely Pizza!). If you are interested in helping it is very important that you RSVP as I will need to know who will be coming out for the day. You can contact me however you like (e-mail is best) and also use the “Contact” tab above to e-mail me. 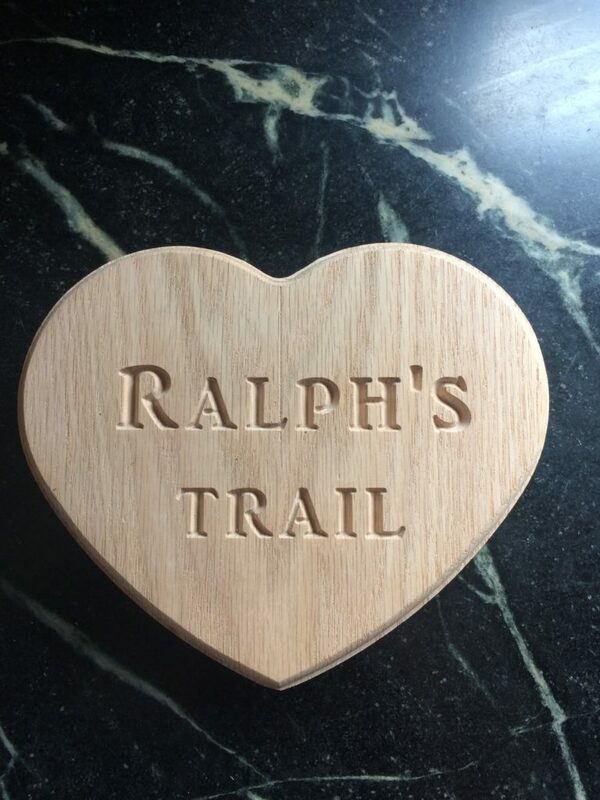 This will be “Ralph’s Trail” and he’d love for you to be a part of it. Please feel free to pass this on to anyone you know (other clubs, FB, other users) that would be interested in participating. I will be providing more detail as the date draws closer. So tomorrow is the Sausage Suit race put on by Substance Projects. And it definitely looks like rain, drizzle if we are lucky. So what is one to do? I guess my thought is make the best of it, get set up to get wet, dress warmly and enjoy hitting the trails with good friends! There are actually a lot of plus points about tomorrow…It’s not snowing (like last year!) and I just finished a lot of winter riding in the cold, dark & wet. I’m not riding my Fat Bike (started to get a bit t tired of that!). I’m not sitting inside on a trainer (actually I never do that anyway, but that’s one for those who do). I’m going to be in a lovely forest surrounded by folks that love bikes. The trails are in awesome shape (still a few soft spots but nothing we are at all worried about with regards to trail damage). If you have ever ridden Dufferin before you may know that it can actually be better when wet. The forest is sand based and drains like crazy. Yup the roots and logs will be wet but I just consider that more of a challenge to our mountain biking skills. Dan (from Substance Projects) and his crew (I saw Ryan leaf blowing on Weds night, thanks Ryan!) have done an incredible amount of work getting the course cleaned up for this event. They have taken what would of been a fairly leaf covered set of trails and turned them into sweet clear trails. The snow just left a couple weeks ago so the window to get ready was very short. He has pulled it off again. He had to create a few temporary “connector trails” to connect all the single track together (these will be energy sucking sections, don’t say you were not warned. They are a small price to pay to link together 23+km’s of pure single track!). So cheers to the Substance Projects crew. They have worked really hard so let’s go out and enjoy what they have created for us. Yes it would be better if it was sunny and 12 degrees. But it won’t be. I’m looking forward to a great ride tomorrow with my buddies and enjoying my day in the Forest. See you there! Also, if anyone wants to be the “Gorilla” (standing in the rain in a Gorilla Suit) let me know ASAP.